December 11, 2018, His Holiness Patriarch Mor Ignatius Aphrem II met His Eminence Archbishop of Vienna Cardinal Christoph Schönborn, at the residence of the Archbishopric in Vienna – Austria. 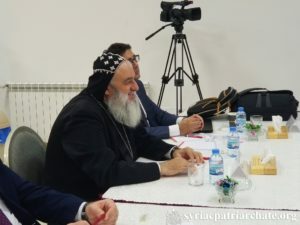 Their Beatitudes Mor Ignatius Joseph III Younan, Syriac Catholic Patriarch of Antioch, and Cardinal Mar Louis Rafael I Sako, Chaldean Patriarch of Babylon, also attended the meeting. His Eminence welcomed His Holiness and their Beatitudes and discussed with them matters related to the presence of Christians in the Middle East. 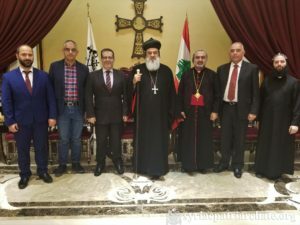 They assured that all efforts should be unified to protect this presence, and ensure the basic rights of Christians as original citizens of the region. 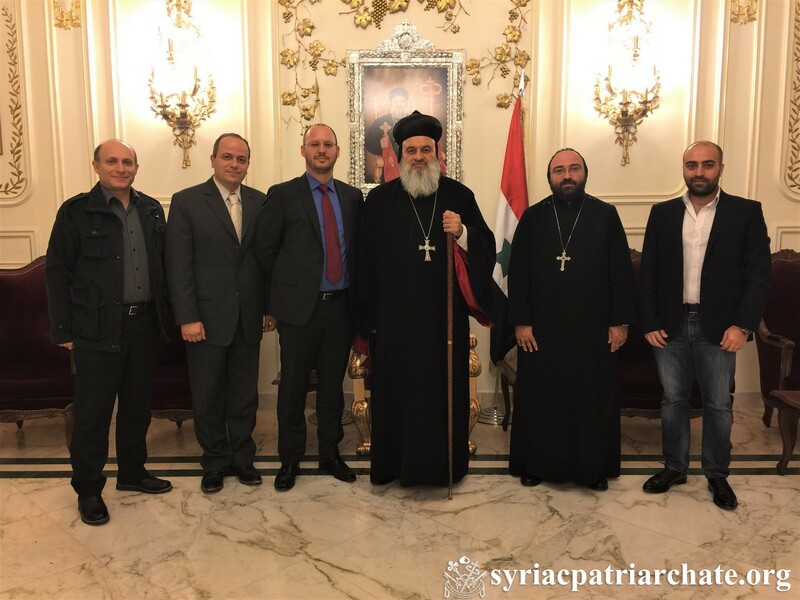 On December 9, 2018, His Holiness Patriarch Mor Ignatius Aphrem II received Mr. Marc-André Hensel, Regional Director – Syria Crisis Response at World Vision, at the Patriarchate Headquarters in Bab Touma – Damascus. 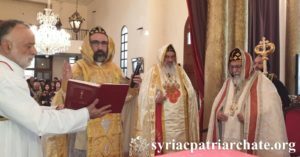 His Eminence Mor Timotheos Matta Al-Khoury, Patriarchal Vicar in the Patriarchal Archdiocese of Damascus, and Very Rev. Raban Joseph Bali, Patriarchal Secretary and Media Office Director, and Mr. Shadi Sarweh, Executive Director of St. Ephrem Patriarchal Development Committee (EPDC), attended the meeting. During the meeting, His Holiness discussed with his guest the relief and development projects executed by our Patriarchate through EPDC, and ways of cooperation between the committee and World Vision.Click to view slideshow. On December 9, 2018, His Holiness Patriarch Mor Ignatius Aphrem II received Dr. Thuraya Bachaalani, Acting General Secretary of the Middle East Council of Churches (MECC), at the Patriarchate Headquarters in Bab Touma – Damascus. She was accompanied by Ms. Huguette Salameh, Communication and Public Relations Department Director, and Mr. Ghassan Shahin, Director of MECC-Syria. Dr. Bachaalani reported to His Holiness about the administrative and theological projects led by MECC. They also discussed the agenda of the next meeting of the Executive Committee of MECC which will be hosted by our Syriac Orthodox Church next January. Mr. Shahin gave an overview about the relief and help projects executed by MECC in Syria with the collaboration of St. Ephrem Patriarchal Development Committee (EPDC) as well as all the relief committees of the member churches. Then, Ms. Salameh reported about the work of the department of communication and public relation, remarking the department’s aim of moving from the informative media towards media of positional media. His Holiness assured that the role of the member churches is to support the work of the council for what important mission it has in strengthening the presence of Christians in the Middle East in the face of all agendas that aim at the opposite. On December 4, 2018, His Holiness Patriarch Mor Ignatius Aphrem II received Mr. Antoine Mrad, Counselor of the Executive Chairman of the Lebanese Forces for the Presidential Affairs and Coordinator of Church Affairs, accompanied by Mr. John Al-Alam, Ex-Coordinator of Church Affairs, and Lawyer Elie charbetji, at the Patriarchal Residence in Atchaneh, Bikfaya – Lebanon. During the meeting, Mr. Antoine conveyed to His Holiness the love of Dr. Samir Geagea, Executive Chairman of the Lebanese Forces, to the Syriac Orthodox Church. His Holiness and his guests stressed the importance of working together for to preserve the presence of Christians in the Middle East, especially in Lebanon which plays a great Christian role in the region. They also discussed the general situation in Lebanon and assured the significance of forming a new government, which will help keep the security and economy stable, as well as help improve the living conditions in the country. 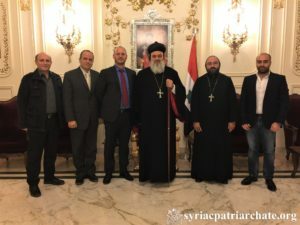 The meeting was attended by their Eminences Mor Chrysostom Mikhael Chamoun, Patriarchal Vicar in the Patriarchal Benevolent Institutions in Atchaneh, and Mor Timotheos Matta Al-Khoury, Patriarchal Vicar in the Patriarchal Archdiocese of Damascus. 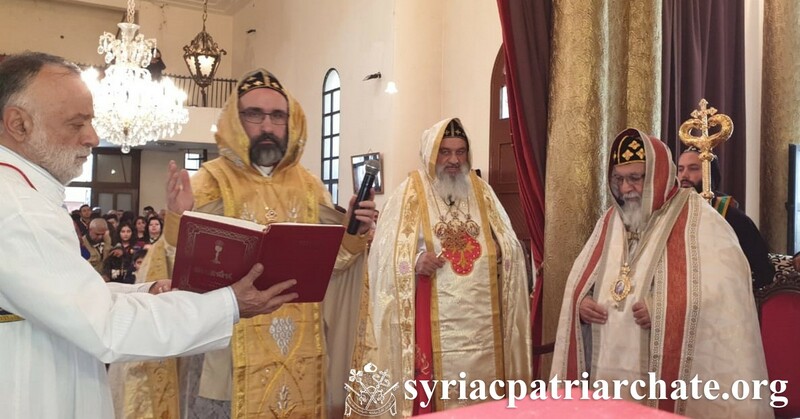 His Eminence Mor Justinos Boulos Safar, Patriarchal Vicar in Zahle and Bekaa, also joined the meeting. 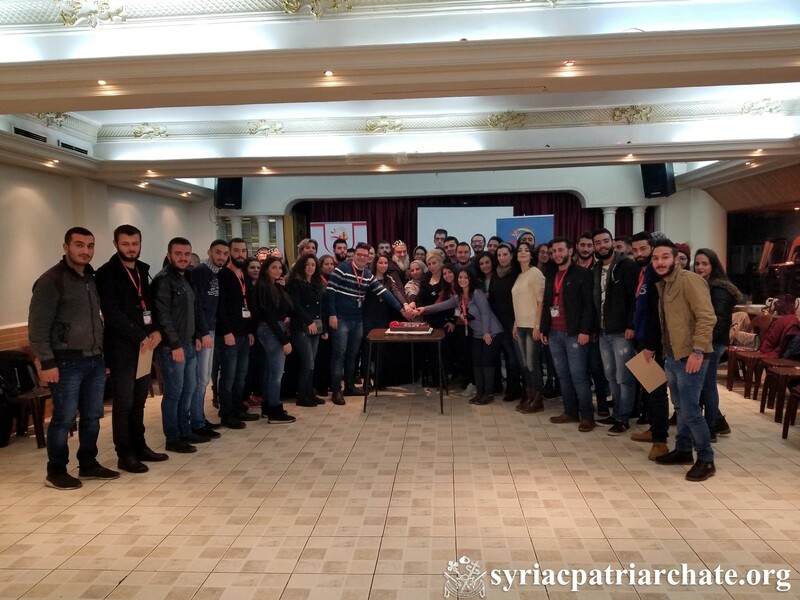 On December 3, 2018, upon the invitation of His Holiness Patriarch Mor Ignatius Aphrem II, a workshop about Antioch Syrian University’s regulatory compliance plan was hosted at the Patriarchal Residence in Atchaneh, BIkfaya – Lebanon. The workshop was organized by a team of specialists from the King’s College London in the United Kingdom. His Eminence Mor Timotheos Matta Al-Khoury, Patriarchal Vicar in the Patriarchal Archdiocese of Damascus, Dr. Rakan Razouk, President of ASU, as well as members of the administrative board of ASU, and a number of representatives of the academic bodies in Syria and Lebanon, also attended the workshop. During the workshop, the participants shared ideas about the regulatory landscape influencing ASU’s future strategy in Syria, Lebanon, the region, and internationally, as well as establishing ASU’s regulatory compliance plan and priorities for Syria, the wider region and establishing relationships with potential university partners in the UK and other countries. On November 29, 2018, His Holiness Patriarch Mor Ignatius Aphrem II received at the Patriarchate in Bab Touma, His Excellency Mr. Alexander Ponomarev, Ambassador of Belarus, on the occasion of the end of his diplomatic mission in Syria. His Excellency thanked His Holiness for his warm reception and recalled the good and steadfast ties between Belarus and the Syriac Orthodox Church. His Holiness Patriarch Aphrem II appreciated the important role of His Excellency and the Government of Belarus in promoting peace in Syria as well as in conveying the reality of what is going on in Syria to their people. He also wished His Excellency all success in his new mission. 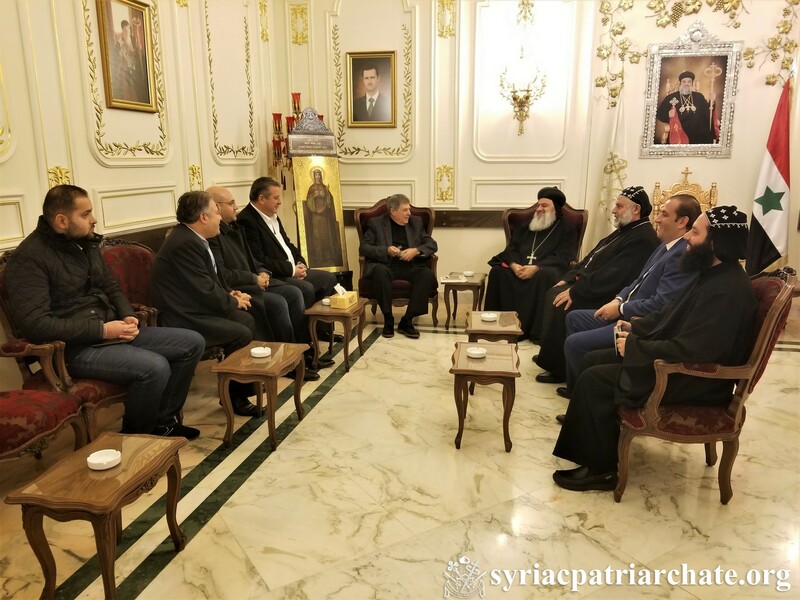 The meeting was also attended by His Eminence Mor Timotheos Matta Al-Khoury, Patriarchal Vicar in the Patriarchal Archdiocese of Damascus, and Very Rev. Raban Joseph Bali, Patriarchal Secretary and Media Office Director. 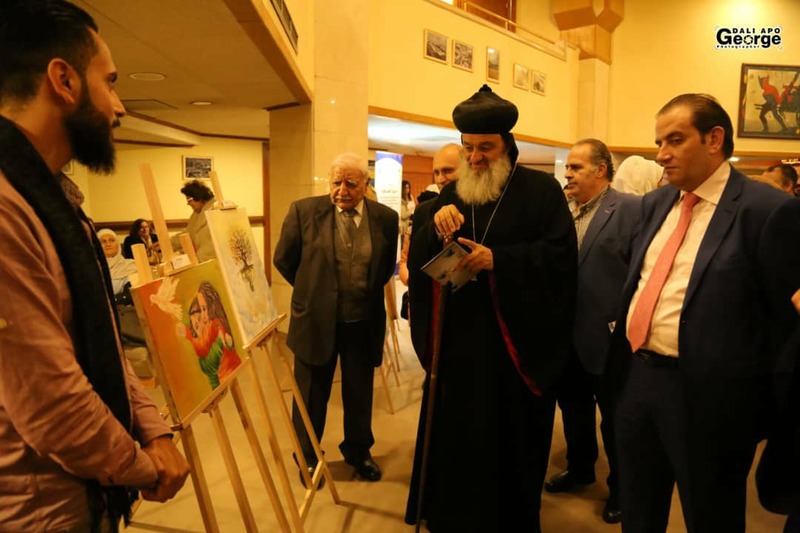 His Holiness Patriarch Mor Ignatius Aphrem II attended the closing ceremony of the initiative “Towards Peace” organized by St. Ephrem Patriarchal Choir, and held at Dar El Assad Opera House in Damascus. His Holiness took a tour at the “Art for Peace” exhibition where pieces of arts, namely paintings, and visual art items, were displayed by the participants of the competition organized the initiative “Towards Peace” in poetry, music, drawing, painting and visual art, under the title “Art for Peace”. 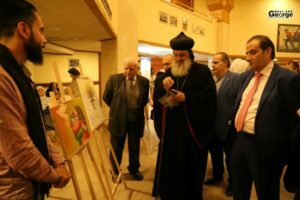 Then, His Holiness attended the performance of St. Ephrem Patriarchal Choir who sang different songs on peace, nostalgia, forgiveness, reconciliation as well as traditional songs from different parts of Syria. In his speech, His Holiness congratulated the Choir for their great work, and emphasized the importance of this initiative in bringing together the Syrian people in celebrating art for peace. He talked about peace, not only as contrasted with war and destruction, but as a gift from God to all human beings. He stressed the fact that peace is an innate right to all people and that it is the greatest crime of all to deprive someone from their peace. In concluding his speech, His Holiness reminded that it is our mission to preserve our peace and to build peace in our societies, not waiting for others to give it to us. At the end of the ceremony, His Holiness distributed trophies for the winners in the competition “Art for Peace”. His Holiness was accompanied by Very. Rev. Raban Joseph Bali, Patriarchal Secretary and Media Office Director. 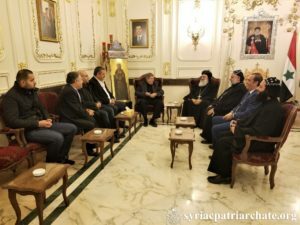 On November 25, 2018, His Holiness Patriarch Mor Ignatius Aphrem II received a delegation from the executive committee of the Global Group of Syrian Businessmen Organization (GGSBO), at the Patriarchate Headquarters in Damascus.